Business / Corporate Chauffeur Services IrelandOur services provide the most varied limousines from vintage Rolls Royces to the most modern Mercedes for all occasions – Weddings, Anniversaries and Special Occasions. We provide upscale transportation locally, regionally and nationally. Your destination is our business. If your needs are corporate transportation or special occasion, our luxury saloons, limousines, mini buses and limo coaches have the comfort and style you desire. Some of our valued customers during the years were – Fred Astaire, Bob Dylan, Ray Charles, Ted Kennedy, Bob Geldof, George Best, Val Doonican and Senator Connie Mac to name but a few. An airport transfer specialist, we can take the hassle out of airport parking and transport arrangements by offering an airport transfer service to all major Irish airports. Providing a professional, reliable and prompt service, we are fully insured and are also able to offera meet and greet service on request. Our drivers are all punctual, courteous and reliable. These attributes make us the number one choice of travel to customers throughout Waterford and the surrounding areas. 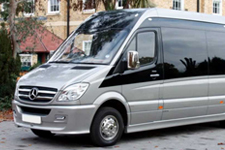 The size and versatility of our fleet enables us to provide a top class service tailored to your specific requirements irrespective of the venue or occasion and at a very competitive rate. Our comprehensive list of services includes local, national deliveries, overnight, next day and same day drops, direct services. We are committed to providing a superior service to all of our clients – our function is to relieve the family of all responsibility of funeral arrangements in order that they can grieve without interruption at this most sensitive time. Irish Funerals are a unique feature of Irish Culture – not only the grief & loss of a loved one is honoured but also a celebration of the life of the deceased is uniquely celebrated.